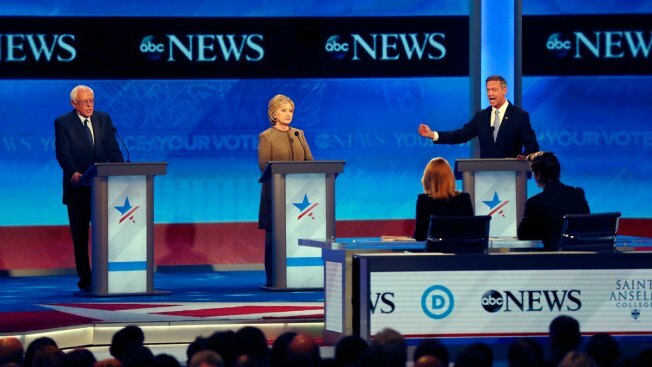 SCORE IT: Who Won the Democratic Presidential Debate? Martin O’Malley, right, speaks alongside Bernie Sanders, left, and Hillary Clinton, center, during a Democratic presidential primary debate Saturday, Dec. 19, 2015, at Saint Anselm College in Manchester, N.H. The three Democratic presidential candidates met on stage Saturday night at Saint Anselm College in New Hampshire. So how'd the candidates do? Here's what some people had to say on Twitter.